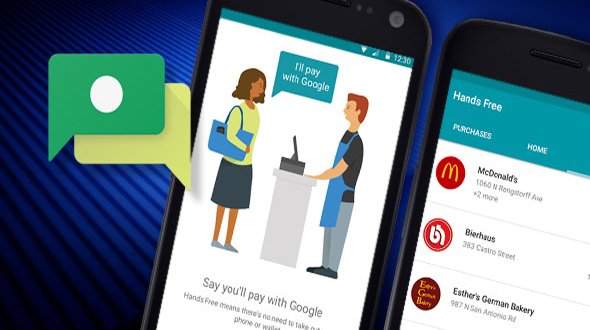 One of the world biggest tech company Google is working on the new way of payment from Android Pay. Google is working to make the payment system easier and making the purchase process simpler. Till now Android Pay Customer was forced to take out their Smartphone to make the payments in stores. Taking this trend a step ahead, they are making the payment system simpler, where you don’t have to take out your Smartphone for making the payment. 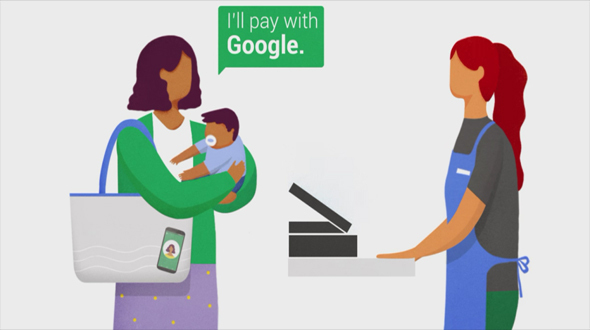 Recently Google started experimenting a new in-store payment app called Hands Free. As the name suggest this system will give you a power of making payment without using your hands. The service was announced during the Google I/O 2015. In a recent blog post Pali Bhat, Senior Director, Product Management said "Imagine if you could rush through a drive-thru without reaching for your wallet, or pick up a hot dog at the ballpark without fumbling to pass coins or your credit card to the cashier. This prompted us to build a pilot app called Hands Free that we're now in the early stages of testing,"
Hand Free Payment System will only be available in South Bay in San Francisco as of now, and will be available to iOS and Android users only. Bhat also added, the app "is rolling out to a small number of McDonald's, Papa John's, and local eateries in the area." How Android Pay Hands Free Works? Technology used for the Hands Free in-store payments app is Bluetooth Connectivity, Wi-Fi, and GPS on the handset to detect if a user is near a participating store. While billing on the counter, user have to simply say “I’ll pay with Google” after that cashier would need their initial and use their Hands Free Profile picture to confirm the identity. According to Google Store camera will confirm the user’s identity based on their Hands Free profile Picture. How Secure is the payment with Hands Free? Face Recognition technology for making payments is not new in this industry, previously company like PayPal and square has used this technology, but the success was not that great. We hope Google enjoy all the success with the new technology of Hands Free. Hope you have liked the post, do share your suggestion and views in comment section below.